Leader of the Indigenous People of Biafra (IPOB) Nnamdi Kanu, at a courtesy visit paid to him by the leaders of Igbo Civil Society Coalition led by Obasi Igwe, has said that he was offered in prison Biafra with only five states. 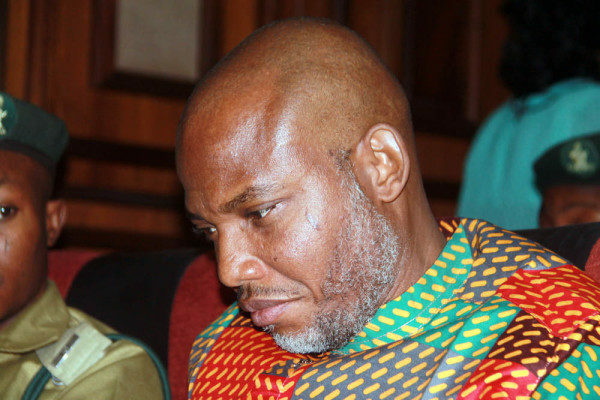 According to Vanguard, Kanu said he rejected the offer, adding that he also wanted Benue and Rivers states. He also claimed to have been offered an oil bloc and a mansion in Dubai, gifts offered to tempt him to abandon the cause of a sovereign Biafra. He said he rejected them both.